Rabbi Robert Loewy blows the shofar at the 2016 annual meeting of the Jewish Federation of Greater New Orleans. A previously-announced Tree of Life sculpture dedication in honor of Rabbi Robert Loewy at Gates of Prayer in Metairie during the Jan. 6 Shabbat service has become the first step in a transition process. In a Jan. 3 letter to the congregation, Loewy announced that he will be retiring at the end of June 2018. “After much thought, reflection and prayer, I have decided that it is time to begin the next phase of my life,” he said. “With mixed emotions, I have informed our synagogue leaders that I will be retiring” and become rabbi emeritus. The 18-month window will give the congregation time to “make preparations for a change of rabbinic leadership,” he said. Loewy has led Metairie’s Reform congregation since August 1984. Long tenures are not unusual for the congregation; Rabbi Nathaniel Share served Gates of Prayer from 1934 until his death in 1974, shortly after ground was broken on the current building as the congregation moved from New Orleans to Metairie. Before his 30th anniversary in 2014, Loewy also noted that Rabbi Mendel Silber served the congregation from 1914 to 1934 and remained as emeritus until 1963. Gates of Prayer Cantorial Soloist Victoria May has also been musical director since 1987. A New York native, Loewy was ordained in 1977. Before arriving in Metairie, he was assistant rabbi and associate rabbi at Congregation Emanu El in Houston. Loewy has been president of the Southwest Association of Reform Rabbis, the Greater New Orleans Rabbinic Council and New Orleans Jewish Day School, chairman of the Community Relations Committee of the Jewish Federation of Greater New Orleans, officer and program chair for the Central Conference of American Rabbis, secretary of the Greater Houston Rabbinical Association, board member of ARZA and the Dillard University Center for Black/Jewish Relations, and Jewish Chautauqua Society Lecturer at the University of New Orleans. He is also active with the East Jefferson Interfaith Clergy Association, board member of the Jewish Community Day School, Henry S. Jacobs Camp, New Orleans Women’s Shelter, Jewish Family Service and the East Jefferson General Hospital Pastoral Counseling Program. He is a Chautauqua Society Lecturer at Loyola University. 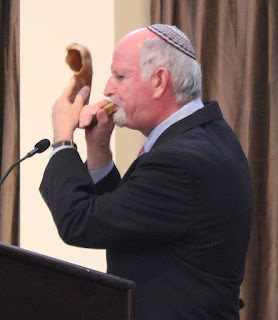 Last summer, Rabbi Edward Cohn retired after 29 years at Temple Sinai in New Orleans, and in late December, Rabbi Jonathan Miller of Birmingham’s Temple Emanu-El announced that he will retire this summer, in his 27th year at Alabama’s largest Jewish congregation.